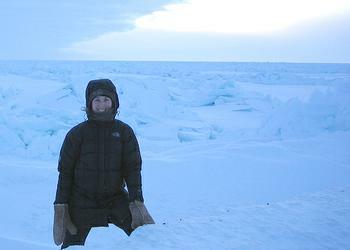 WASHINGTON, DC, December 9, 2009 (ENS) – The federal Minerals Management Service has approved a controversial plan by Shell Gulf of Mexico, Inc. to drill up to three exploratory wells in the Chukchi Sea on leases it purchased in 2008. “A key component of reducing our country’s dependence on foreign oil is the environmentally-responsible exploration and development of America’s renewable and conventional resources,” said Ken Salazar Tuesday. As Secretary of the Interior, he has jurisdiction over the Minerals Management Service. The 2008 sale was included in the Bush administration’s 2007-2012 Five-Year Oil and Gas Leasing Program to cover leasing for oil and gas in the Outer Continental Shelf. The Exploration Plan now approved allows Shell to drill up to three exploration wells during the July-October open water drilling season. Approval of the Chukchi drilling plan follows recent approval by Minerals Management Service of Shell’s plans to drill in the adjacent Beaufort Sea in 2010. In the Chukchi Sea, Shell proposes using one drill ship, one ice management vessel, an ice class anchor handling vessel, and oil spill response vessels. The closest proposed drill site is about 60 miles from shore and 80 miles from Wainwright, a community of about 546 people on the Chukchi coast. But a coalition of conservation groups and the tribal government of Point Hope, Alaska object that the Minerals Management Service approved Shell’s exploratory drilling plan without a full analysis of its effects on wildlife and Alaska Native subsistence, already threatened by climate change, and despite a lack of fundamental scientific information about the region. 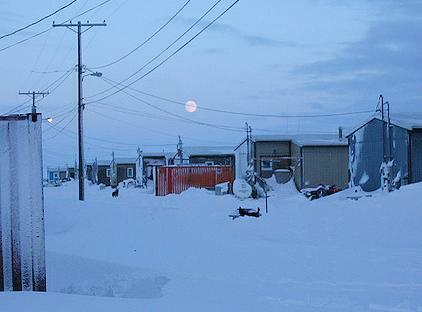 The Native Village of Point Hope is a federally recognized tribal government and community of about 670 people located near the tip of Point Hope peninsula, a gravel spit that forms the western-most extension of the northwest Alaska coast. The MMS approved the drilling although the government has not yet resolved legal problems with the Bush-era five year leasing plan that opened the Arctic Ocean seabed to oil and gas activities. Last spring, a federal court of appeals in Washington, DC found this Bush administration plan was illegal because it downplayed the environmental sensitivity of the very area where Shell wants to drill. A separate legal action is pending in the Alaska federal district court that challenges the Bush administration decision to sell to Shell the oil and gas leases in the Chukchi Sea on which it plans to drill under the MMS approval granted Monday. The Obama administration is still contemplating its position in that challenge. Meanwhile, the U.S. Fish and Wildlife Service has proposed that the very areas in which Shell proposes to drill be designated as critical habitat for polar bears listed as threatened under the Endangered Species Act. The conservation groups point out that Shell’s drilling would take place along a key migratory route for the endangered bowhead whale – a critical subsistence source of food for the Inupiat people.